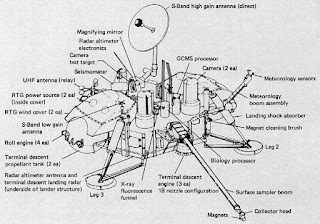 The Viking lander was the first spacecraft to operate on the surface of Mars. The Viking 1 left Earth on August 20, 1975 and landed on Mars July 20, 1976. 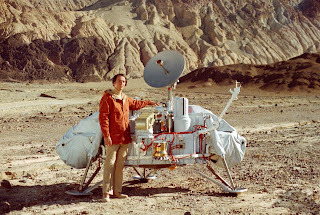 It was followed on September 9, 1975 by Viking 2, which landed on September 3, 1975. 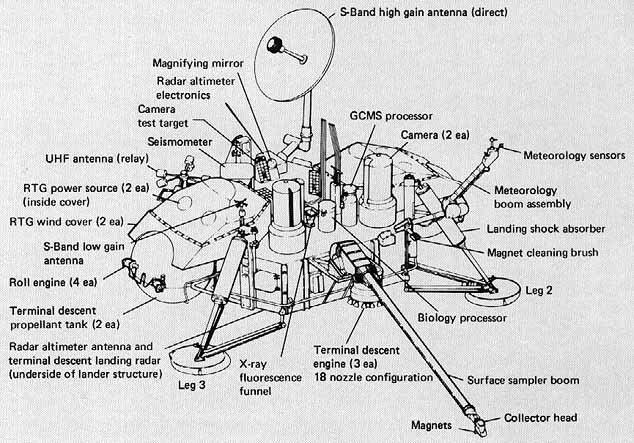 The Viking Project provided a wealth of information on the geography and atmosphere of Mars, fulfilling the first two objectives of the mission. As for the third objective, the landers were unable to find any evidence of life where they touched down. The lunatic fringe, however, would have you believe otherwise. ArcLight's World Space Museum series includes a model of the Viking Lander (WSM-10008) that is said to be the Viking 1 lander, but it can just as easily be the virtually identical Viking 2 lander. 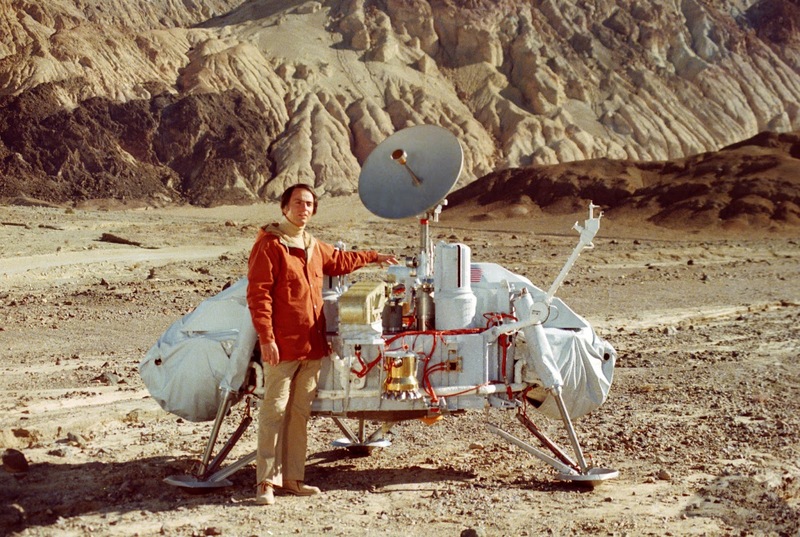 Based on the picture of Carl Sagan with a model of the lander, and dimensions found online, I'd say the model is pretty close to 1/72 scale. There are pictures of museum displays that seem much smaller, but I'm assuming that those are scaled down versions. The model is painted a light gray, which seems a bit off compared to all the pictures of landers which appear to be white in color, but I've seen pictures of these models in lighter shades as well. Overall, it's a nice little model for those who are collectors of real space models in 1/72 scale.